Dmytro Matsypura is a Senior Lecturer in the Discipline of Business Analytics at the University of Sydney Business School. His current research focus is on applications of convex and combinatorial optimisation in forecasting, graph theory, finance, transportation, and ecology. Dr Matsypura received a bachelor degree in Business Administration, with honours, in 1998, an MS degree in Information Systems, with honours, in 2000 from Kyiv Polytechnic Institute and a Ph.D. degree in Management Science from UMass Amherst in 2006. In 2007 he joined the Discipline of Business Analytics at Sydney University. Dr Matsypura is the author of many research articles and several book chapters. He currently teaches undergraduate courses in Operations Management, Management Science and Optimisation. From 2004 through he also taught courses in Business and Economic Statistics, Management Science Applications and Game Theory. In 2010 he received the Wayne Lonergan Outstanding Teaching Award (Early Career) in the Business School and in 2008 and 2013, at the Discipline of Business Analytics Teaching Excellence Award. 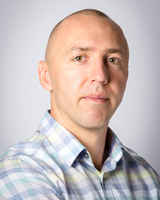 Dmytro’s general area of expertise is Operations Research / Management Science. Within this area he focuses on the methodology and applications of mathematical optimisation and network science. Methodological part of Dmytro’s research focuses on developing efficient methods of solving difficult mathematical optimisation problems. Applied part of Dmytro’s research focuses on the use of mathematical optimisation to address problems arising in various disciplines, including Finance, Engineering, Statistics, Economics and Ecology. Leung J, and Matsypura D (2018) Sparse Model Estimation and its Applications to the Insurance Industry INFORMS Annual Meeting 2018; Institute for Operations Research and the Management Sciences (I N F O R M S), Phoenix, United States, 4-7 November 2018. Matsypura D, and Timkovsky V (2012) Combinations of option spreads 1st International Conference on Operations Research and Enterprise Systems ICORES 2012; SciTePress, Vilamoura, Algarve, Portugal. Matsypura D, and Timkovsky V (2011) Combinations of option spreads INFORMS 2011 Annual Meeting - TransfORmation – "a thorough or dramatic change"; INFORMS. Matsypura D, and Timkovsky V (2011) Margining Option Portfolios by Network Flows INFORMS 2011 Annual Meeting - Transformation; University of North Carolina Charlotte, Charlotte, North Carolina. Timkovsky V, and Matsypura D (2011) Computational Complexity of Portfolio Margining SIAM Conference on Computational Science and Engineering (CSE09); SIAM Publications. Coffman Jr E, Matsypura D, and Timkovsky V (2010) A Computational Study of Margining Portfolios of Options by Two Approaches 4th International Conference on Information Systems, Technology and Management ICISTM 2010; Springer. Matsypura D, and Timkovsky V (2010) Margining Option Portfolios by Offsets with Two, Three and Four Legs INFORMS 2010 Annual Meeting - Energizing the Future; The University of Texas at Austin, Austin, Texas. Coffman Jr E, Matsypura D, and Timkovsky V (2009) Portfolio margining: strategy vs risk INFORMS Annual Meeting; California State University San Marcos. Coffman Jr E, Matsypura D, and Timkovsky V (2009) Portfolio margining: strategy vs risk 23rd European Conference on Operational Research; University of Siegen. Coffman Jr E, Matsypura D, and Timkovsky V (2009) Portfolio Margining: Strategy vs Risk. Coffman Jr E, Matsypura D, Oron D, and Timkovsky V (2008) Half-Integer Preemptive Schedules on Two Processors. Matsypura D, Oron D, and Timkovsky V (2007) Option Spreads: Centipedes That Cannot Have More Than 134 Legs. Nagurney A, and Matsypura D (2006) Dynamics of global supply chain supernetworks in a new era of risk and uncertainty Towards better Performing Transport Networks; Routledge imprint of Taylor & Francis, Oxford, 211-235. Nagurney A, and Matsypura D (2004) A supply chain network perspective for electric power generation, supply, transmission, and consumption International Conference in Computing, Communications and Control Technologies; University of Oradea, Romania.